Gated 55 and over communities are getting extremely popular these days. Lovely homes with picturesque settings are provided a protective and secure atmosphere with its high gates. Many seniors prefer living in a gated community, while others do not. Whether you choose to live in a gated community, is your choice. 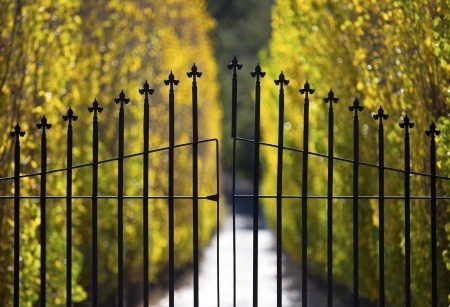 Here are a few pros and cons of a gated community. Ok, let’s face it. A gated community does provide that feeling of security. They limit the traffic passing through the community, especially if there is round-the-clock security. However, some 55 and older communities feature only automated gates. Gates that operate on security codes are not very secure. If you live in a community with automated gates, you are bound to pass on the security code to just about everyone. Thus, the security code now enables just about anyone to walk into the community. Gated communities limit crime. There are very few burglaries and this can be the main reason many active adults prefer gated communities. However, burglaries do happen in these communities. Burglars will find ways to get into affluent homes and having a gate, even with 24-hour security, may not deter them from their purpose. Gated active retirement communities provide a more exclusive atmosphere. Plus, it adds appeal to the whole package as it increases prestige. However, homeowners’ association fees also may be more as you are paying for this service among others. Serenity and peace are two things you can expect in abundance with a gated community. As there is very little traffic going in and out of the community, you are ensured of peace and quiet, which is very important to most 55+ seniors. However, sometimes, too much quiet can be deafening. Gated communities create a sense of togetherness. Residents become very close and have their exclusive celebrations and festivities. However, this may keep you from getting to know people outside the community. Living in a gated community does provide you 100% protection. Even here, in these secure 55+ communities, you should always lock your doors and windows. You can even consider safety devices and security systems to safeguard your home. Although there are advantages and disadvantages to living in gated communities, they are gaining extreme popularity. However, consider your options and the pros and cons before selecting a retirement community to live in. 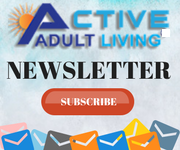 If you are looking for gated communities, visit ActiveAdultLiving.com®, the website that offers you more than 6,100 communities to select from.